Ah, it’s that bittersweet time of year again for our Aspen garden. 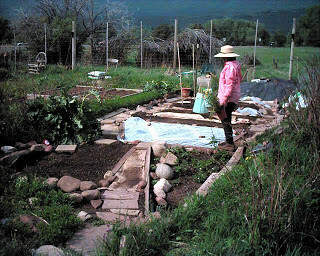 One of my favorite things to do in Aspen is to grow and tend to our vegetable garden. Now that it's Fall though, it’s not only time to enjoy the fruits of our spring and summer labor, but it's also time to say goodbye to a treasured summer friend. The temperatures have finally reached below freezing at night and early morning in Aspen, Colorado, and the hours of sunlight have greatly diminished, so it’s time to put our put our beloved garden to bed for the winter. 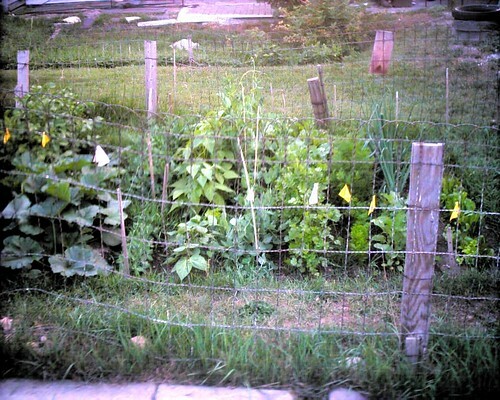 What a great garden it’s been this summer – from the asparagus to the strawberries to the peas and beans, squash, and finally to the potatoes, carrots, onions, and tomatoes (Actually, the lettuce and spinach weren’t so hot this year, but that’s another story). Some time around mid to late August, something truly wonderful happens. The early yielding varieties are still going strong and the slower-maturing types are coming into full swing. 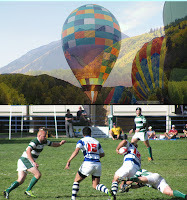 Together they reach a wonderfully synergetic crescendo. Unfortunately, all good things must come to an end, and at some point in October we must make a final harvest and get ready to say adieu to our annual fresh veggie benefactor. Of course, the root vegetables like potatoes, onions and carrots can withstand the cold temperatures for a little longer, and we’ve pulled all of the remaining beans, peas, peppers and squash. Now it’s time to agonize over our tomatoes. These are our babies! While all of the fresh vegetables taste so much better than those from the grocery stores, for me there’s something special about the tomatoes. They taste sooo much different and better than store-bought – if they can ripen on the vine and are not frozen. It’s always a crapshoot as to just exactly when to finally pull the plug. 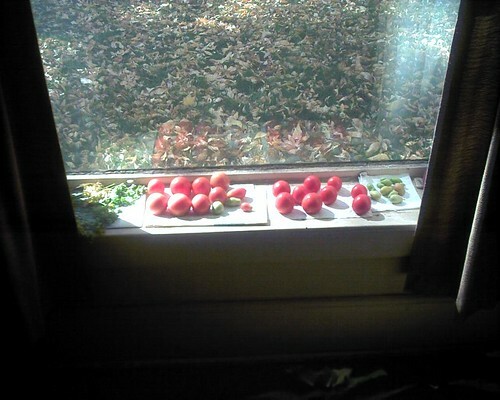 So, I am now on day-to-day tomato watch – scanning the weather reports, covering and uncovering the tomatoes as warranted, picking the ripe ones, and hoping (praying) that I don’t pick the others too early or (heaven forbid) wait until it’s too late. Naturally, there will be other things to do to truly put the garden to bed for the winter. 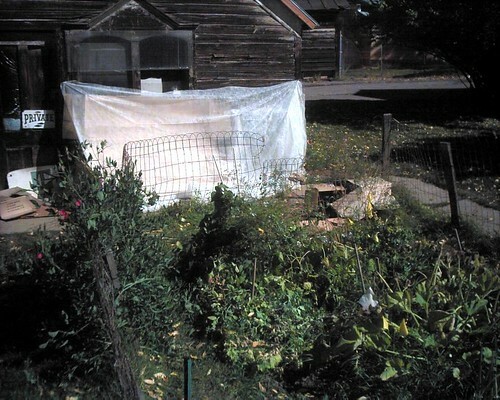 Eventually, I need to harvest the potatoes, onions, and carrots, and I plan on spreading alfalfa pellets and a mulch of the remaining plant matter on the garden spot, but there’s a little time left before the snow flies and sticks in earnest, so for now my task is to keep an eye on the tomatoes. Yes, it’s a bittersweet time when we have to put our Aspen garden to bed for the winter, but I’ll get the chance to do it all again next year, and in the meantime, I think I’ll focus on enjoying the sweet part of bittersweet – especially those fabulous tomatoes. My family has moved seven times in the past thirteen years making it difficult to have a vegetable garden. But now we are settled down and it is time to begin. Having an English mum, I'm thinking that there is a green thumb somewhere inside me, I'll have to dig deep into your blog and get some help to find it!! Yeah, it's amazing how much up-front work (and sometimes pure luck) it takes to have productive garden. I suppose I could try to tackle it more umm.."scientifically", but after the initial digging, plowing, more digging, and a little soil conditioning, it's the plants and the water that do the work.